You don’t hear much talk about “peak oil” these days. Perhaps that’s because crude oil production has surged to the extent that the United States has now surpassed Saudi Arabia and Russia as the world’s largest producer. Back in 2010, the fracking revolution was just a speck on a gnat’s eye. Buying into the “peak oil” paradigm when I wrote my book “Boomergeddon,” I expected the rising cost of petroleum and gasoline production would translate into sky-high prices and a long-term drag on economic growth. That’s one of the reasons why, along with an aging population and a continued rise of the regulatory state, I argued that the U.S. government spending needed to adjust to slower long-term economic growth in order to avoid exploding deficits. It figures that the one dogma I embraced from the political left would be the one that proved to be the most demonstrably wrong. The fracking revolution has been an incredible boon to the U.S. economy. Oil and gas production, far from being a drag on the economy, has stimulated growth — and will continue to do so as fossil fuel exports surge. You may not like the environmental implications of increased oil and gas production, but the geopolitical implications are fantastic for the United States. Our economic fortunes are less tied to events in the Middle East than any time since the 1974 Arab Oil Embargo, and Russia, one of our two main strategic adversaries, is significantly weaker thanks to lower oil and gas prices. The Oil Age won’t last forever. Eventually, the global economy will shift to cleaner, renewable energy sources like solar, wind, batteries, and, who knows, maybe even nuclear fusion. One day, electric utilities will be all green. One day, most of the nation’s automobile fleet will be all-electric and all green. One day, oil and gas will be valued only as a chemical feedstock. But that transition will take decades. In the meantime, let’s take advantage of strong global demand for oil and gas and extract our mineral wealth from the ground while it still has value. This entry was posted in Economy, Energy and tagged James A. Bacon. Bookmark the permalink. Our national policy on oil and gas is extremely short-sighted. We are still a net-importer of crude oil and it appears that we always will be. At least until we transition our transportation sector away from oil-derived fuel. It is misunderstood that our current high level of production is based on a long-term supply of low-cost oil and gas. For example, both Saudi Arabia and Russia have larger reserves than we do. And these reserves can be accessed by conventional drilling, meaning that the wells will decline over several decades. The U.S. depends primarily on shale plays for its supplies. Wells in these production areas decline within 3-5 years. Major oil companies have had to significantly write down the value of reserves on their balance sheets as prices and reserve amounts declined. They need to boost production to prop up their balance sheets and thus their stock prices. At the moment, oil and gas are strategic assets. They should be carefully husbanded to keep our energy prices low. We should not squander them by inefficient use or through exports for short-term profits. Reasonably priced conventional fuels could be used to help with the transition to lower cost and cleaner alternatives. We do not have the type of reserves to use oil and gas as a geopolitical weapon. Doing so would harm us much more than our “adversaries”. The short-term profit interests of Wall Street and corporate executives are working against the long-term interests of American citizens and our economy. Tom makes a good point. If you look at the list of top reserves for oil and natural gas, it is largely a Who is Who list of dodgy countries with the exception of the U.S. and Canada (and I’m not too sure about those Canucks). I agree with Tom but higher energy prices have the effect of spurring conservation and efficiency. More efficient vehicles gain in popularity and use and people think twice about the frequency and duration of their trips. but the downside is harm to industries that depend on energy – and harm to fuel taxes revenues unless we fix that. Natural Gas is more dicey. Our ability to incorporate more wind and solar depends on ability to power the grid when wind/solar are not available and gas is that fuel until uber-cheap batteries become available. But again – higher prices for energy spurs conservation, innovation and efficiency more than advocacies to reduce consumption or pollution do. The current price of gasoline is an indication that folks consider it “cheap enough” because the demand for it remains strong…..
We are, as a country , basically what of the largest per capita consumers of energy in the world. Now let’s just say as a hypothesis, the next big change that happens is the current reduced solar activity (unusual sun spot minimum) leads to a cooling climate period. Will the political left embrace fossil fuels to warm us back up? Or will there emerge a new rationale for eliminating politically-incorrect American businesses to nurture intense hatred thereof? There is something important left out of this blog posting — how the flood of shale oil and gas lowers prices and cuts production. This happened around 2014 after the fracking revolution started. Oil and gas prices dropped so much that drillers cut back on production because fracking is expensive. The market has come back a bit since 2014 but it is still subject to traditional supply and demand dynamics. The flood of shale oil and gas was created by the flood of money from Wall Street out of the mortgage securities market and into oil and gas exploration. Money was cheap and oil and gas prices were at all time highs. Drillers were surprised by shale wells reaching peak production within 3 years or so then rapidly declining. They were used to conventional wells gradually declining over decades. Producers were deep in debt and had to keep drilling to pay the interest on their loans or they would be bankrupt. Over 200 oil and gas producers went bankrupt in 2015-2016 and that reduced rig counts and overall production. The drop in price was due to the surplus of supply that continued because drillers could not afford to cut back production to match demand, as was historically done. Many confuse the low price as an indication of a huge supply of low-cost gas. The resource is large but the cost to extract it will progressively increase. Traditional uses of gas and use of gas to generate electricity are not expected to increase much in the future. Wall Street and energy producers need the prices to rise, so we are embarking on a program to export significant amounts of our strategic resources. Australia did this. Natural gas prices increased 300-400% within 10 years. We are beginning to travel that same path. Regulators are ignoring the consequences to families and businesses throughout the nation. Given that dinosaurs lived and died for millions and millions and millions of years, I suspect there still is an incredible amount of recycled dinosaurs in the ground. However, it is a finite resource and, as such, should be conserved as well as used now. 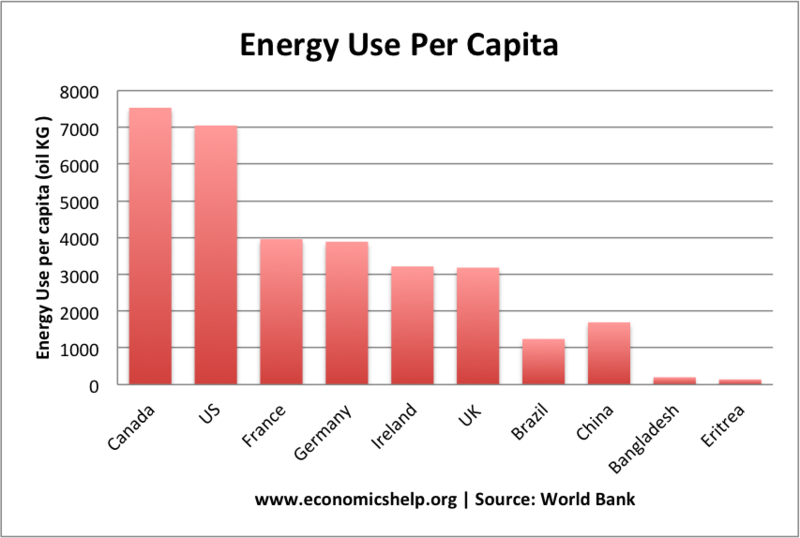 We also need cheap, renewable and reliable energy to sustain society and promote economic growth. As I’ve written, I believe there are many charlatans in the environmental movement who will lie and distort on a regular basis to win the political power game. And the MSM, the Goebbels Gang, cannot be relied upon to publish or disseminate all of the facts/arguments. At this point, I see a few intriguing issues to explore, but not many. 1/ Jim pointed out that shale (‘oil) left in ground might well lose its value if it is not extracted now. It’s that a realistic fear? I also see predicted time lines of when we run out of carbon fuel supply all over the place, from five years to a 100 years. And I have seen the exhaustion predictions of these sorts prove grossly wrong since I began paying attention, since the 1970s. Who can we believe? 2/ Conservation seems to have stalled. If so why? Can we expand conservation in intelligent ways instead of our typically stupid ways, coercion, or telling lies and false promises, for example? Can we encourage conservation by real and meaningful rewards to customers? Are technological breakthroughs viable and realistic paths to conservation? 3/ How can we remove the land rush money, power, greed factor from the transition thought these unstable and uncertain times of disruption to the point of stability again? Is this just impractical dreaming? What most always happens here in these situations of emerging industries, technologies, and their highly entrepreneurial sponsors, is that far too often they fail, go over the cliff, leaving the public behind to clean up the mess. Here now, however, their failure to transition into abundant stable energy could quite literally destroy our nation, killing millions of citizens. No joke. Looks like “Peak oil” is back! But this time as peak demand. And that’s a good thing because shale oil will never match Saudi oil whose wells don’t produce 70-90% of their total production in the first 3-5 years of operation as shale wells do. A new report from Carbon Tracker predicts that the world will hit peak oil demand by 2023, much faster than most forecasts. Separately, a report from Norwegian risk-management company DNV GL comes to a similar conclusion. “The transition is undeniable,” said DNV CEO Remi Eriksen. DNV Oil will peak in the 2020s, and Fossil based Energy expenditures as fraction of world GDP from a little over 4% today to 1% in 2050. “Overall, the results described are similar to those from ETO 2017, including the main conclusion – namely, a leveling off in final demand after 2030 and a peaking of primary supply to satisfy that demand”.